Despite the amazing impact social media has had on our world over the past 5 years, many people still don't believe in its power or refuse to get on board. For an individual it's not as important, but for a business, freelancer or anyone looking to make a buck, it's do-or-die. 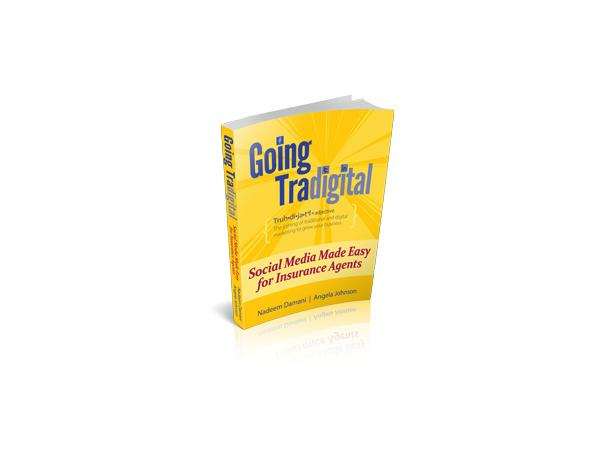 Nadeem Damani is the co-author of Going Tradigial and was on to discuss the importance of social media and why it's not just a fad or phase. We also talked about the many uses from a personal and professional stand-point. The power of social media should not be overlooked, but instead harnessed. Nadeem Damani graduated from UT in 1993 with a BBA in Marketing. He has been an Insurance Agent with Farmers Insurance since 2002. His agency is located in Stafford, Texas. His accomplishments and awards include seven-time Championship designation, ten-time Topper Club attendee and one time Million Dollar Round Table qualification. In 2005, he was number one in the company out of 16,000 Agents in writing term life policies. Nadeem has been actively using Social Media for the last four years to build his insurance business. He speaks at various company events regarding his Social Media strategy. He has over 25,000 connections in various Social Media networks including Twitter, Facebook and G+.